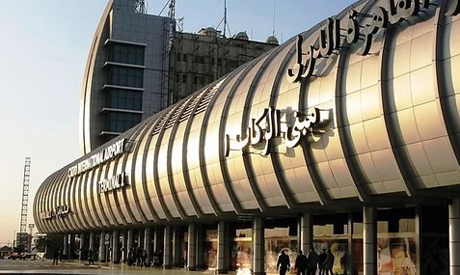 Egypt will no longer allow tourists from certain countries to obtain a visa on arrival at the airport "within six to eight months" said the country's tourism ministry on Tuesday. The change in visa regulations will require all individual tourists to obtain a visa before travelling to Egypt, in place of a current system whereby citizens of a number of countries are able to purchase a tourist visa on entry to Egypt. Tourists travelling with tour operators will still be able to purchase a visa on arrival. The change in policy was first announced in March to be activated in May, but was postponed amid widespread criticism from tourism operators. A foreign ministry statement said that the change in policy would be implemented when a new e-visa system was in place. Egypt's Tourism Minister Khaled Ramy said that the new e-visa system will work on drawing tourists to the country while at the same time ensuring that Egypt's internal security won't be jeopardised, MENA reported. The initial decision to end visas on arrival sparked criticism from local and international tour operators, who argued that it would deter travelers at a time when Egypt is working on shoring up its flagging economy. Egypt's once flourishing tourism industry has been hammered by protracted political turmoil since the 2011 popular revolt that toppled long-time strongman Hosni Mubarak. In 2014, around 10 million tourists visited Egypt, a sharp slump from a record 2010 figure of over 14.7 million who visited the country's ancient sites and sea resorts. The tourism industry contributes 11.3 percent of the country's gross domestic product and generates over 14 percent of foreign currency revenues. The March announcement was not the first time that tighter visa regulations were proposed. In September 2011, authorities approved rules that would have required individual tourists to apply for visas in their home countries before entering Egypt, but the plans were suspended and shelved three days later. Please encourage tourism - not hinder it. An E-visa system is a welcome step in the right direction as it makes it so much easier for those needing to get a visa in advance. But individual tourism should be encouraged as much as groups coming through tour operators. So, if visas upon arrival are cancelled then it should be for all and not just for individuals. If the excuse is on security grounds, any possible threats could come just as easily by individuals going through a tour operator - so the real reason is to push individual tourists to use the tour operators. And that is not fair and is not a help to tourism ! You need to seek help Expat! You are so burned out, maybe it is time to go home and seek help. In the meantime, give it a rest on the comments, you are damaging the image of Germans, Europeans, or Westerns! and still you hero didnt put your cards on the table...dont bother any more,you should stay nearly 8 years here,promoting,training and leading local talents,untill YOU even should breath a comment on me...because just giving sh.t comments,that a experienced person might be even critizicing the last 5 revoloutious years, how do you got the credit to do so?...where have YOU been in february 2001 when all the hotels collapsed? where in autumn, 2011,when the media did let it again collapse(military rule against revolution),where,when a (democratic :) ) vote as done in 2012,dispite the fact,that 2009 it was clear,that 80% of the local people would like to have complete sharia(aka MB)...where in august 2013,when we had left 2 guests with 400 staff? is it,you didnt answer only one of my questions? Especially your own. If you are trying to make a buck in Egypt the least you should do is respect the country that pays you, and in particular in their own newspapers. There are many many things positive about this great country (Egypt) and for once write a positive comment, than bad-mouthing it every time you open your mouth ... leave that to the MB! then let us know,how long you work here,lead people through one economical disaster to the next of choice by stupid burocrats or theocrats by choice..just tell me,you a tourist? then you go your way and stay out of mine,cause,mate,i know this country a little than you..and funny enough,i still have love to the "normal" people in my heart and do MY job every day...what about you juke? You seem to hate this country so much, all your comments are so negative about Egypt. I wonder why you stay there. I presume that “Expat” means you live/work there? For sure Egypt has no exit visa issues? good luck with your obvious "blue eyes"
funny,if you are inside the country,you will have the knowledge,how burocracy here works,if you are outside and pretend to know,you should have avoided this comment...e-visa and egyptian system naturally collids,as the governmental sector max works 2-3 hours a day, and 1 mistake in the form will put you in internal hell to correct it..trust me,its NOT the way to go here! question one: which countries will be effected(most tourism countries are also donators for egypt),question 2 you ever saw any system without third copies on paper work in egypt? its an open invitation for bribes abroad, question 3 you ever thought,what comes 8 months after march? its will be november,high season for lux/cairo/everything apart from tour operator controlled stupid all in resort business at hurghada/sharm etc...so IT will destroy the last hopes for the other centers of tourism---got it now`? will this help the economy? 6-8 months will be just before the busy winter season and will be proof of if this is a good idea or not. December and January are usually very busy times for the tourist industry. Considering all the internal issues are being done by Egyptians and local supporters of twisted extremist groups, how will this benefit anyone. Do we really believe that by stopping Europeans from coming here easily, internal matters will drasticly improve? E-visas and visas on arrival please ! Personally I would still like to retain the visa upon arrival system - it has worked for decades, so why change ? However, I would also like to see the introduction of an efficient visa system as some people do want to get their visa in advance and going through the various embassies and consulates can be tedious and time consuming. Hopefully, multi-entry visas will also be available on line. Operate all the above systems and one is aiding the recovery of tourism !